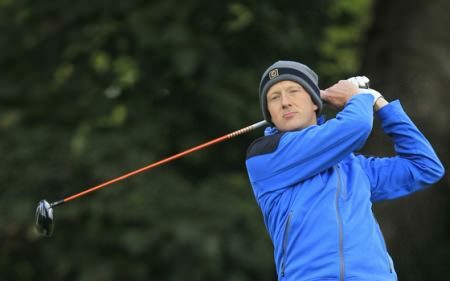 Graeme Dunlea and Michael McDermott held a two-stroke lead when the weather-delayed second round of the Irish PGA Championship was finally completed at Adare Manor Golf Club on Saturday morning. The duo carded two under par rounds of 67 to lead the event which finally succumbed to the elements at 6.30pm on Friday with 48 players still to finish round two. Heavy overnight rain caused a two-hour delay to the start of play on Friday morning and a further half hour delay midway through the afternoon has left tournament officials playing catch-up. McDermott, who won the pre-tournament pro-am, battled through his front nine, going to the turn in level par before picking up the pace over his closing holes. “It was a bit of struggle out there. 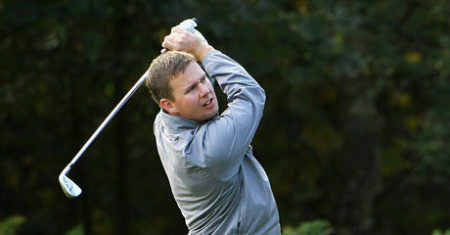 I just sort of rode it out and picked up a couple of birdies at the end,” said the 34-year-old. Dunlea failed to take full advantage of a decent ball-striking round but was content with his form heading into the weekend. “I would have taken two under at the start of the day. It was a solid round of golf and I'm in a decent position, another two of those and we will see where that leaves me,” he said. Defending champion, Michael McGeady, moved into contention with a three under par 66. The round of the day came from 29-year-old Daniel Beattie (Deerpark Hotel), who signed for a brilliant six under par 63 in the afternoon. “Attitude was the big difference today. I lost it yesterday after I tripled the second and it was tough to get back from that,” said the Whitehead native who is four back on even par. Overnight leader, Robert Giles (Greenore GC), carded a level par 71 and is three shots off the lead with former winner David Mortimer on one-under. RTD Philip Ring (Elmgreen Golf Centre), Zak Rouiller (Beech Park), Corey Doherty (Athlone), Shaun Donnelly (Castle Hume).